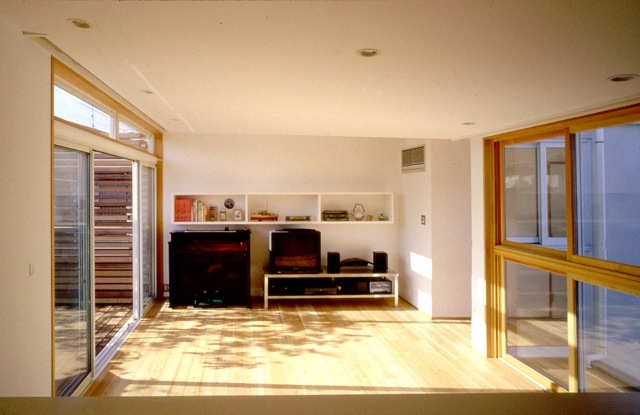 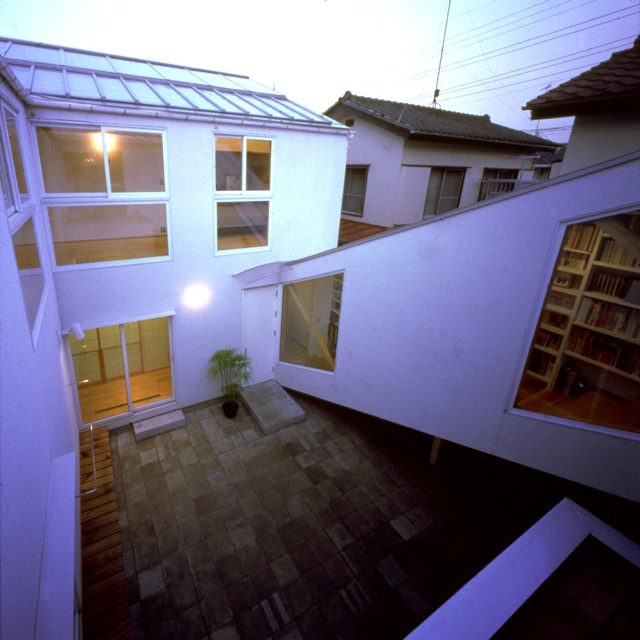 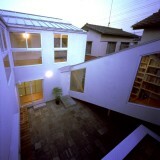 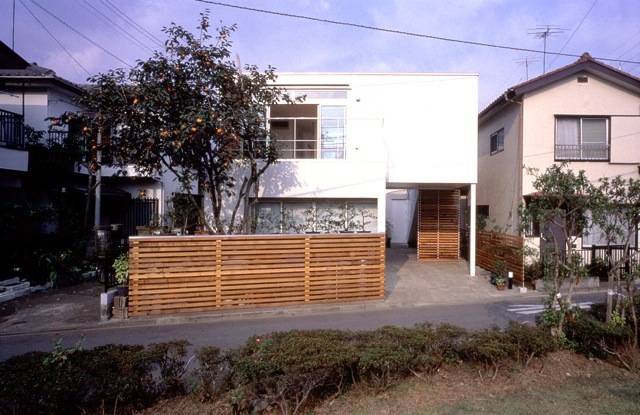 The House in Sagamihara has the composition spirally involving a courtyard in each rooms of the two-household house which continues linearly. 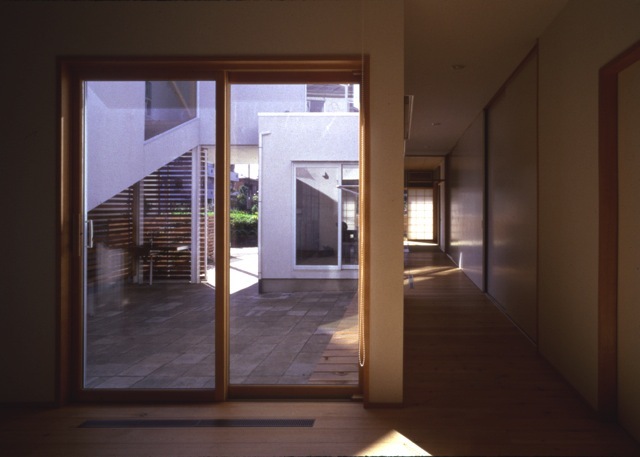 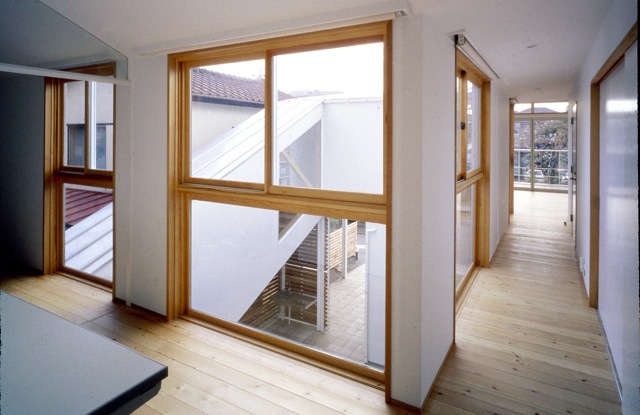 Dividing parents husband and wife for the first floor, and dividing a domain for the second floor clearly with a young couple by making the common entrance and a common bathroom into a turning point, arrangement of a opening is devised so that both sign may be felt over a courtyard.This courtyard is an entrance hall and the sitting-room of the exterior in which a family gathers, and is also the playground of the pet dog which is one of a family member. 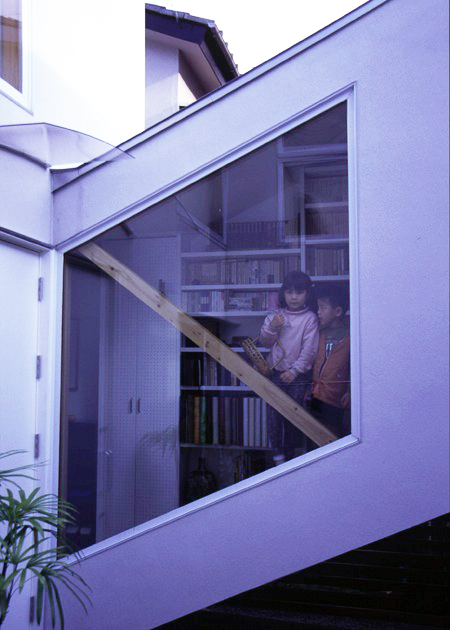 The stairs to the second floor are loose, and a wall is a sheet of bookshelf and serves as a family’s library.